Some people may not be aware that your body stores a hormone called Cortisol. 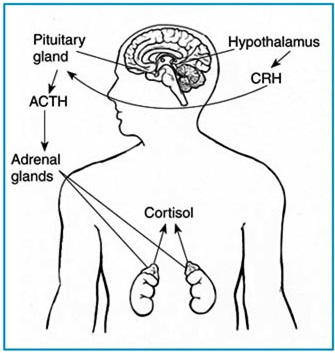 This hormone in your body, as explained to me by an Emergency Room doctor, is your body's main stress hormone. It controls your mood, fear, and motivation. 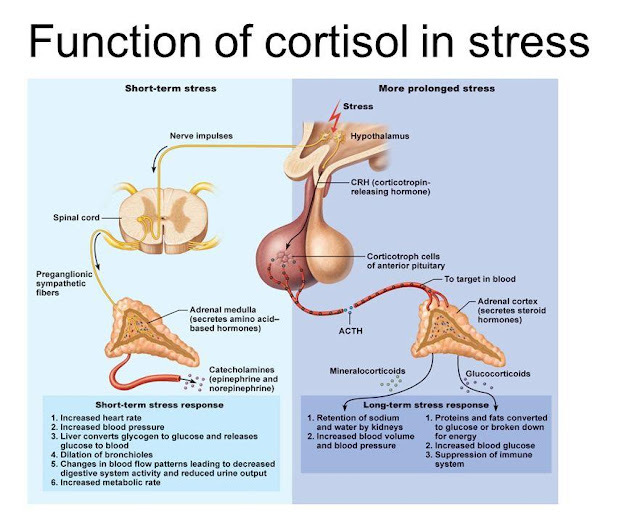 Since I was only given a brief explanation of cortisol in the Emergency Room, I decided to write an article about it to help spread the knowledge around, but also give techniques and coping mechanisms to help you in times of stress. Chronic stress can wreak havoc on your mind and body. The payoff for learning to manage stress is peace of mind and — perhaps — a longer, healthier life." Stressed out? Lonely or depressed? Don't be surprised if you come down with something. Psychologists in the field of "psychoneuroimmunology" have shown that state of mind affects one's state of health. In the early 1980s, psychologist Janice Kiecolt-Glaser, PhD, and immunologist Ronald Glaser, PhD, of the Ohio State University College of Medicine, were intrigued by animal studies that linked stress and infection. From 1982 through 1992, these pioneer researchers studied medical students. Among other things, they found that the students' immunity went down every year under the simple stress of the three-day exam period. Test takers had fewer natural killer cells, which fight tumors and viral infections. They almost stopped producing immunity-boosting gamma interferon and infection-fighting T-cells responded only weakly to test-tube stimulation. Those findings opened the floodgates of research. By 2004, Suzanne Segerstrom, PhD, of the University of Kentucky, and Gregory Miller, PhD, of the University of British Columbia, had nearly 300 studies on stress and health to review. Their meta-analysis discerned intriguing patterns. Lab studies that stressed people for a few minutes found a burst of one type of 'first responder' activity mixed with other signs of weakening. For stress of any significant duration - from a few days to a few months or years, as happens in real life - all aspects of immunity went downhill. Thus long-term or chronic stress, through too much wear and tear, can ravage the immune system. The meta-analysis also revealed that people who are older or already sick are more prone to stress-related immune changes. For example, a 2002 study by Lyanne McGuire, PhD, of John Hopkins School of Medicine with Kiecolt-Glaser and Glaser reported that even chronic, sub-clinical mild depression may suppress an older person's immune system. Participants in the study were in their early 70s and caring for someone with Alzheimer's disease. Those with chronic mild depression had weaker lymphocyte-T cell responses to two mitogens, which model how the body responds to viruses and bacteria. The immune response was down even 18 months later, and immunity declined with age. In line with the 2004 meta-analysis, it appeared that the key immune factor was duration, not severity, of depression. And in the case of the older caregivers, their depression and age meant a double-whammy for immunity. The researchers noted that lack of social support has been reported in the research as a risk factor for depression, an insight amplified in a 2005 study of college students. Health psychologists Sarah Pressman, PhD, Sheldon Cohen, PhD, and fellow researchers at Carnegie Mellon University's Laboratory for the Study of Stress, Immunity and Disease, found that social isolation and feelings of loneliness each independently weakened first-year students' immunity. In the study, students got flu shots at the university health center, described their social networks, and kept track of their day-to-day feelings using a handheld computer (a new technique called "momentary ecological awareness"). 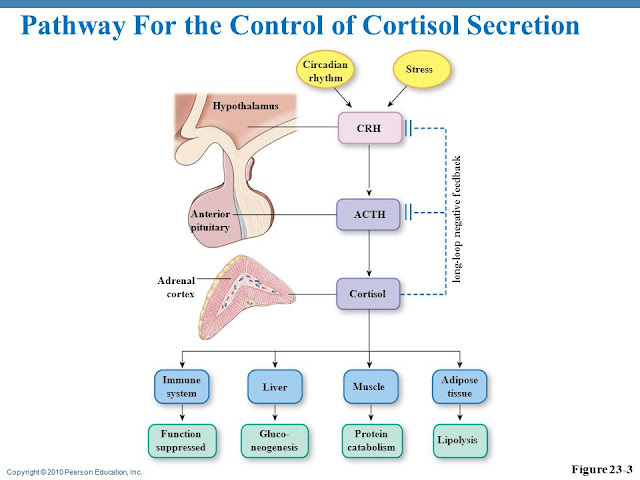 They also provided saliva samples for measuring levels of the stress hormone cortisol. Small networks and loneliness each independently weakened immunity to a core vaccine component. Immune response was most weakened by the combination of loneliness and small social networks, an obvious health stress facing shy new students who have yet to build their friendship circles. Emerging evidence is tracing the pathways of the mind-body interaction. For example, as seen with the college students, chronic feelings of loneliness can help to predict health status -- perhaps because lonely people have more psychological stress or experience it more intensely and that stress in turn tamps down immunity. It's also no surprise that depression hurts immunity; it's also linked to other physical problems such as heart disease. At the same time, depression may both reflect a lack of social support and/or cause someone to withdraw from social ties. Both can be stressful and hurt the body's ability to fight infection. All of these findings extend what we know about how stress management and interpersonal relationships can benefit day-to-day health, doing everything from helping us combat the common cold to speeding healing after surgery. The research is in synch with anecdotal reports of how people get sick in stressful times, but understanding exactly how psychology affects biology helps scientists to recommend the best ways we can build up immunity. Managing stress, especially chronic or long-term stress (even if it's not intense), may help people to fight germs. When burdened with long-term stressors, such as caring for an elderly parent or spouse with dementia, health can benefit from conscientious stress management. Kiecolt-Glaser and Glaser confirmed this hopeful option by comparing the immune function of exam-stressed medical students given hypnosis and relaxation training with that of students without training. At first, the immune responses of the two groups appeared to both go down. However, closer inspection revealed that some students took this exercise more seriously than others. Those who didn't take relaxation training seriously didn't fare so well; those who practiced conscientiously did actually have significantly better immune function during exams than students who practiced erratically or not at all. Finally, the newest findings on social stress underscore the value of good friends; even just a few close friends can help someone feel connected and stay strong. Social ties may indirectly strengthen immunity because friends - at least health-minded friends -- can encourage good health behaviors such as eating, sleeping and exercising well. Good friends also help to buffer the stress of negative events. Edwards, K.M., Burns V.E., Reynolds, T., Carroll, D., Drayson, M., & Ring, C. (2006). Acute stress exposure prior to influenza vaccination enhances antibody response in women. Brain, Behavior, and Immunity, 20:159-68. Glaser, R., Sheridan, J. F., Malarkey, W. B., MacCallum, R. C., & Kiecolt-Glaser, J. K. (2000). Chronic stress modulates the immune response to a pneumococcal pneumonia vaccine. Psychosomatic Medicine, 62, 804-807. Glaser, R., Robles, T. F., Malarkey, W. B., Sheridan, J. F., & Kiecolt-Glaser, J. K. (2003). Mild depressive symptoms are associated with amplified and prolonged inflammatory responses following influenza vaccination in older adults. Archives of General Psychiatry, 60, 1009-1014. Kiecolt-Glaser, J. K., Glaser, R. (1993). Mind and immunity. In: D. Goleman & J. Gurin, (Eds.) Mind/Body Medicine (pp. 39-59). New York: Consumer Reports. Kiecolt-Glaser, J. K., & Glaser, R. (2002). 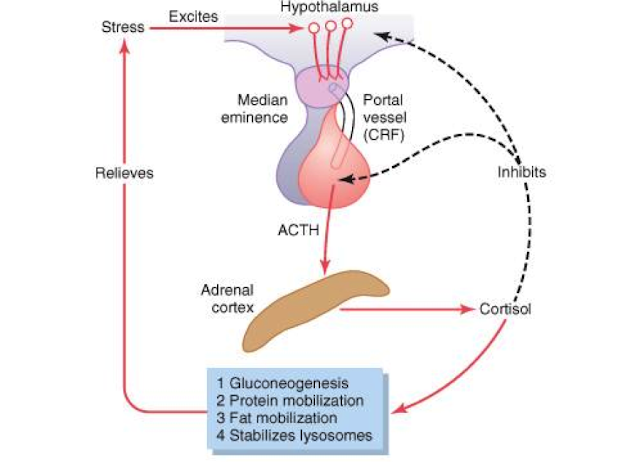 Depression and immune function: Central pathways to morbidity and mortality. Journal of Psychosomatic Research, 53, 873-876. Kiecolt-Glaser, J. K., McGuire, L., Robles, T., & Glaser, R. (2002). Psychoneuroimmunology and psychosomatic medicine: Back to the future. Psychosomatic Medicine, 64, 15-28. Pressman, S. D., Cohen, S., Miller, G.E., Barkin, A., Rabin, B. S., Treanor, J. J. (2005). Loneliness, Social Network Size and Immune Response to Influenza Vaccination in College Freshmen, Health Psychology, 24, pages. Robinson-Whelen, S., Tada, Y., MacCallum, R. C., McGuire, L., & Kiecolt-Glaser, J. K. (2001). Long-term caregiving: What happens when it ends? Journal of Abnormal Psychology, 110, 573-584. Segerstrom, S. C. and Miller, G. E. (2004). 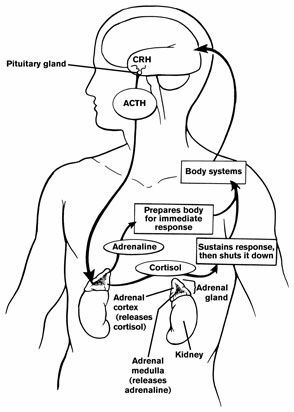 Psychological Stress and the Human Immune System: A Meta-Analytic Study of 30 Years of Inquiry. 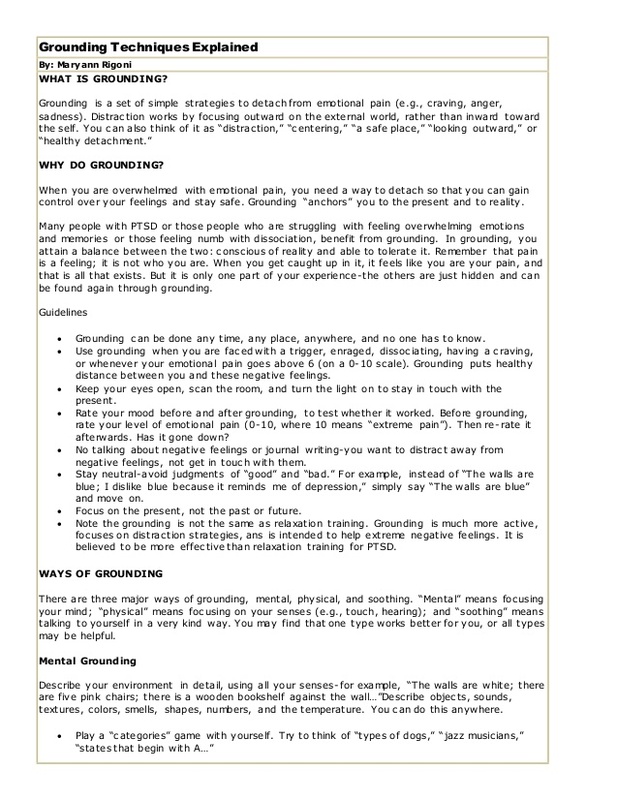 Psychological Bulletin, Vol. 130, No. 4." Gastroparesis is rapidly becoming a common diagnosis. This mysterious illness reduces the ability of the stomach to empty its contents. It can be especially detrimental to people with diabetes. Gastroparesis is caused by damage to the vagus nerve. In its normal state, the vagus nerve contracts (tightens) the stomach muscles to help move food through the digestive tract. In cases of gastroparesis, the vagus nerve is damaged by diabetes and/or high blood pressure. This prevents the muscles of the stomach and intestines from working properly, which keeps food from moving from the stomach to the intestines. Gastroparesis is a chronic (long-lasting) condition. This means that treatment usually doesn’t cure the disease, but you can manage it and keep it under control. Michael Cline, DO, was appointed to Cleveland Clinic in 2012 with the department of Gastroenterology and Hepatology. Dr. Cline completed medical school at Ohio University College of Osteopathic Medicine in Athens, Ohio. His specialty is gastroparesis, and he offers treatments such as colonoscopy, gastric pacemaker, gastric pacer, and other general treatments and services for gastrointestinal diseases. Michael_Cline,_DO: If you split gastroparesis into two words, it is by definition: Gastro (stomach) paresis (paralyzed) = slow stomach. MapleLeaf: What are the symptoms of gastroparesis? Michael_Cline,_DO: The typical systems are nausea, vomiting, abdominal pain, bloating and belching. Michael_Cline,_DO: Gastroparesis can cause pain in some patients, but other sources including neurologic causes need to be ruled out. Fullmoon: Are their certain tests that will confirm I have gastroparesis? Are these tests accurate? Michael_Cline,_DO: Basically, nuclear gastric emptying and a test called the wireless motility capsule are used. There can be a problem with the nuclear test, depending on how it is done. To be accurate, it really has to be a four-hour test done with scrambled eggs and nothing else. ycco: Is a gastric emptying test not sufficient to diagnose gastroparesis? I had an abnormal one more than ten years ago and was told I just had "slow motility". Fast forward to three years ago when my health (not just my stomach) took a turn for the worse, I learned about gastroparesis, and it makes me wonder why I was never given the diagnosis back then, as I had the "classic symptoms" and an abnormal gastric emptying test. Thank you. Michael_Cline,_DO: The gastric emptying test, if it is done the right way (four hours and with solid food), is one of the better tests we have. The problem is it does not coordinate with symptoms, so if it is abnormal, the numbers don't really mean anything. holleywilliams: What is a good indicator of the need to move ahead to enteral feeding, a percent of weight loss over a defined period of time? Or would it be the length of time without adequate oral intake? Michael_Cline,_DO: Typically, we don't want patients to lose more than 10 percent of their ideal body weight in three to six months. Another parameter is abnormal lab work suggesting malnutrition. Fremont: Is the gastric emptying study the only way to diagnose gastroparesis? I've had it three times by three different providers. Two diagnosed mild gastroparesis, the third said it was normal (Mayo Clinic). I understand this test only represents how your stomach empties that particular day. 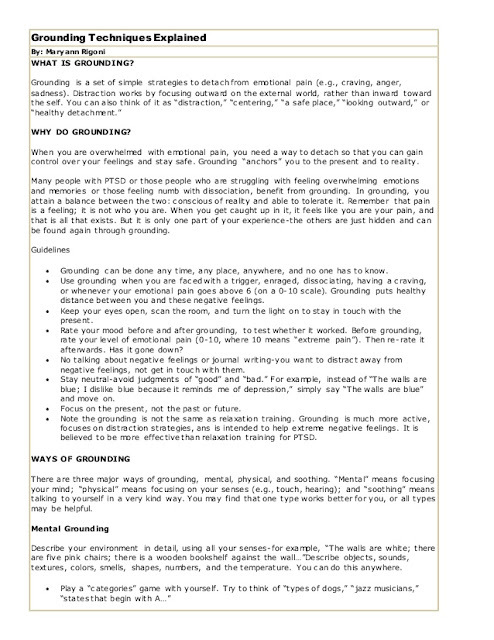 I have pretty major symptoms and get so full so fast, can really only eat one meal and graze the rest of the day. I've also had obstructions just below the stomach. Is this related? Are there other tests that can accurately diagnose this condition? Michael_Cline,_DO: Your history of having had multiple tests with various outcomes is fairly consistent with what we see regularly. That is one of the problems with the nuclear emptying test, especially when it’s borderline normal/abnormal, in proving whether or not someone truly has gastroparesis. holleywilliams: Can you be more specific about what you mean by "global dysmotility" and "diffuse dysmotility”? What tests other than gastric emptying should be performed? Michael_Cline,_DO: By global motility or diffused motility, I mean more than one area of the intestine. The most direct way to rule it out would be the smart pill. For more information, please read: Gastroparesis: ‘Smart’ Pill Uncovers This Mysterious Stomach Condition. AOddone: What's included in a full gastroparesis/motility work-up? Michael_Cline,_DO: There is a battery of lab tests looking for autoimmune antibodies that could be related to the motility disorder. Typically, patients will have an EGD or an x-ray of the intestine to rule out anatomic problems. If we are working-up a generalized motility problem, we would go to the smart pill test. AngelaOddone: What experience do you have treating patients whose gastroparesis is caused by Ehlers-Danlos syndrome in which there are multiple causes. 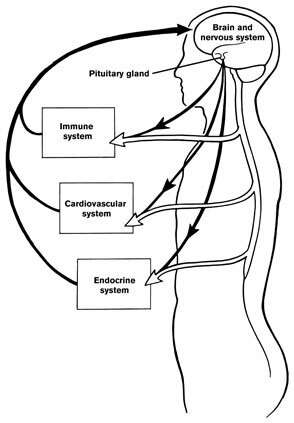 These include poor vagal tone, stretchy tissues in the circulatory and gastrointestinal systems, mast cell activation syndrome causing inflammation, SIBO, leaky gut and endocrine issues such as adrenal fatigue and Graves or Hashimoto's resulting in hypothyroidism? Michael_Cline,_DO: Ehlers-Danlos syndrome is not an uncommon cause of gastrointestinal dysmotility, and frequently leads to a diffuse motility disorder, not just gastroparesis. SIBO (small intestinal bacterial overgrowth) is a marker of small bowel dysmotility also. DizzyGirl: I have gastroparesis related to POTS (postural orthostatic tachycardia syndrome) and EDS3 (Ehlers-Danlos syndrome type 3). The only thing that has been suggested for me is to "occasionally" take domperidone. I am a little nervous about taking it with my current drugs for POTS, and I really want something that will help me every day. Are there any other options or natural remedies that can be used to reduce the pain and nausea I have every day? Michael_Cline,_DO: There are no real natural remedies that seem to be effective. It is very important when you have POTS and EDS3 that you rule out global dismotility. sonjat: Good Morning. I was wondering if you see a lot of gastroparesis in patients with Sjogren's or other autoimmune conditions. Also, what symptoms do you typically see with this condition? Would excessive bloating and constipation be included? Would this condition cause shortness of breath or "air hunger" symptoms? Thank you. Michael_Cline,_DO: The gastroparesis is directly linked to the autoimmune disease. We have to make sure, especially in someone who has constipation, that the entire gut is not involved. Typically, gastroparesis does not affect breathing or the heart. The autoimmune disease can, but gastroparesis won't. keroppi: Is SFN (small fiber neuropathy) a known cause of gastroparesis? Is there any way to prevent the progression of gastroparesis if you don't know the cause? What if you just have idiopathic SFN, or mito issues? Michael_Cline,_DO: There is an association with SFN and gastroparesis. Typically, SFN has to be fairly advanced to get gastroparesis, and unfortunately, there is no way to prevent it from affecting your stomach. vateton: I was diagnosed with gastroparesis after a very slow stomach emptying test (eight percent vs. 50 percent normal), but I also have confirmed small fiber neuropathy. Is it possible that the diagnosis is incorrect, and I should consider dysautonomia? What tests will help me differentiate these diseases? Michael_Cline,_DO: I think this will be best worked-up by a neurologist who specializes in small fiber neuropathy, because gastroparesis can be present in both. WaveWolf: I am a T9 incomplete paraplegic and also have diagnoses of multi-systemic sarcoidosis (cause of paralysis), RA and several other autoimmune conditions. I have steroid-induced diabetes, which is managed with a strict diet and a chromium supplement. I eat small meals, but try to include fiber as part of managing my bowels and avoiding constipation. In eight years, I have not achieved a regular bowel program. I cannot maintain stool consistency, have a lot of gas and pain (from gas or from partial obstruction), but do not have much nausea or any vomiting unless I eat too much fat, too much food, or sweets. Should I be tested for gastroparesis? Michael_Cline,_DO: Given the complexity of your history, it is best served to see you in the clinic. Appointment information will follow the chat. A-Aron: What are the basics of a gastroparesis diet? Michael_Cline,_DO: It includes low-fat and low-fiber foods and frequent, small meals. Depending on the severity of symptoms, we use liquid nutrition as well. DizzyGirl: Is the low-FODMAP diet at all beneficial for people with gastroparesis? Michael_Cline,_DO: I am not a fan of the low-FODMAP diet. It goes in and out of favor, but had never really shown to do much for gastroparesis. It is also a very restrictive diet and is very difficult for patients to stay on long-term. DizzyGirl: For mild gastroparesis linked to POTS and EDS3 (I am able to eat smaller amounts of solid foods, but have lots of pain and nausea), are there any "diets" that can help? Michael_Cline,_DO: Stick to a low-fat, minimum fiber diet. lgmac: How can my obese husband lose weight and keep his bowels moving? He bulks up with kidney beans and rye/wheat bread to keep his bowels going now. He has internal hemorrhoids, gastroparesis, paruresis, history of DVT, and CIDP, and won't eat any "rabbit" food. He says he can't take Miralax. Help! Michael_Cline,_DO: When a person has gastroparesis, keeping the bowels moving is difficult because the diet becomes primarily carbohydrates. The rabbit food is much harder to digest, and if the stomach is not emptying it, it could make things dramatically worst. I would recommend a nutrition evaluation for weight loss along with a full gastroparesis/motility work-up followed by treatment of whatever is found. liesel: I am a 77-year-old female. I live a very healthy life; I eat healthy and exercise daily. I do have heart disease and high blood pressure and take metoprolol ER 25mg and Losartan 50mg. I do NOT have diabetes. As long as I can remember, I have had problems with constipation. For the last year, I have constant difficulty with emptying completely. I always have the feeling that I need to go again. I go at exactly the same time every morning, right after one cup of coffee. But in the evening, I have the urge again and feel as if I am constipated to the point that I have been using glycerin suppositories, sometimes with good results and other times with more pain than stool. I do take a daily dose of Miralax and also drink plenty of water. Is there anything else I could be doing? vateton: I started monthly IVIG infusions for small fiber neuropathy caused by sarcoidosis and found it positively impacted my gastroparesis. Is this ever used expressly for this purpose? Michael_Cline,_DO: IVIG has now been shown to be effective in gastroparesis when there is a co-existing autoimmune disorder. We are using it more and more for gastroparesis. Agurene: Dysautonomia and gastroparesis often appear together in patients. What is your recommendation for treating or managing gastroparesis in dysautonomia patients who cannot be exposed to neurotoxins in certain medications such as Reglan? What natural options are there – diet, supplements, lifestyle changes, etc. – that could help such patients? Michael_Cline,_DO: Dysautonomia and gastroparesis frequently occur together. In dysautonomia patients, we have to rule out a global dismotility. We need the entire intestine, not just the stomach. There are very few natural substances that have been looked at. Ginger is used to help with gas, and there is a natural supplement called Imerogest that has been shown to be of some benefit to people. In dysautonomia, the biggest thing is to make sure we have the right diagnosis. bafke: Is there any treatment that would help the vagus nerve work as close to normal as possible? Michael_Cline,_DO: Unfortunately, not at this time. There is some research going on across the world in what's called vagal pacing. DizzyGirl: I've heard some people mention that they have used Iberogast to manage their gastroparesis symptoms. Is that something you think would work or would recommend? Michael_Cline,_DO: It is not well-studied, but has shown in case reports to be effective. There is really no harm in trying it. It's not going to hurt you, but it would really be trial-and-error process to see if it works for you. Iodine: What are some effective treatments for someone with EDS-related overall GI dysmotility, including gastroparesis? Michael_Cline,_DO: When someone had general dismotility, the medical treatment options are limited. Two specific drugs we have available through the FDA are domperidone and Propulsid. They are drugs that have been designed to move more than just the stomach. AOddone: Is domperidone FDA approved now? It wasn't a few years ago. Michael_Cline,_DO: Domperidone is not FDA approved. We do have, however, through the FDA, a program to prescribe domperidone in the United States. It will not be covered by insurance and requires frequent office visits every eight weeks for the first year you're on the drug. crystalclear: After being diagnosed with gastroparesis ten or 12 years ago, I took omeprazole every day until I read in 2016 that it could be linked to an increased risk of dementia. I have since read that those test results were inconclusive. What is your opinion about those test results? For a while (about a year), I seemed to be doing OK without the omeprazole, until about a month ago when the bloating returned. Should I risk taking the omeprazole again? It's been ten or 12 years since I've seen the gastroenterologist. Once one has been diagnosed with gastroparesis, do they always have gastroparesis? Michael_Cline,_DO: Once you've been diagnosed with gastroparesis, it is very rare for it to go away. However, it may fluctuate in how severe the symptoms are. The article on dementia showed an association between Prilosec and dementia, but not a cause. In addition, that article used elderly patient and not young patients. So, the best answer would be to use the omeprazole as needed or as infrequently as you can to control the symptoms. keroppi: Does gastroparesis affect hypoglycemic patients? Is it likely to cause more hypoglycemic episodes if it takes longer for food to digest and be converted to energy? If you're experiencing a hypoglycemic episode, will it take longer to correct and bring the blood sugar back to normal if digestion is slowed down? Michael_Cline,_DO: It will make blood sugar control more difficult if you have gastroparesis, and it can activate hypoglycemia. So, it can mess with blood sugars significantly. BEACHBABIES: Why and at what "stage" is gastroparesis linked to diabetes? Michael_Cline,_DO: Typically, people with types 1 and 2 diabetes will have had diabetes for more than ten years prior to diagnosis. The more uncontrolled the diabetes, the higher the risk. One important factor with diabetes is the better the blood sugar control, the better the control of gastroparesis symptoms. Gastroparesis is almost never the initial complication of diabetes. Typically, the patient will have other neuropathy. gatorfrog: Six years ago, I had a subtotal colectomy because my food would not travel through. I don't know if that was gastroparesis or not, but since then, my food takes forever to digest, especially if I eat meat. I have Type 2 diabetes and am wondering what should I be doing or eating because of that? Is there something I should be looking out for and/or not eating? Thank you for any help. Michael_Cline,_DO: Given the problems with the colon, the fact that you’re still experiencing symptoms and you have the risk factor of Type 2 diabetes, it will be a good idea to get the smart pill study to look at the motility movement of the entire GI tract. Michael_Cline,_DO: It is possible for it to progress, but more importantly, a work-up needs to be done to evaluate for more than just gastroparesis. linbow: I had a Nissen Fundoplication (NF) in 2007. In 2009, I began losing weight (80 pounds total in almost a year), and was told my vagus nerve was damaged and was diagnosed with gastroparesis. In 2015, my heartburn and reflux returned, and I had a second NF done in June 2017. My stomach never seems to feel comfortable. Is this mainly due to my diet? Michael_Cline,_DO: When there is post-surgical gastroparesis, the best approach would be further surgery on the stomach to allow it to empty faster. Typically, medication therapy is not very effective in post-surgery gastroparesis. Your condition probably is not diet related. A high-fiber diet will make symptoms worse, but you’re not going to manage the gastroparesis just by diet. DizzyGirl: What is your normal regimen for patients you see with mild gastroparesis? Michael_Cline,_DO: First, we do lab work and frequently follow up with tests to rule out causes of gastroparesis. Then, we will institute the four-stage diet with our multidisciplinary clinic. The patients will be evaluated for surgical options and pain management if they have pain issues. Also, we will consider behavioral medicine for non-pharmacological treatment and various medications based on other co-existing diseases and personal health. That is all the time we have for questions today. Thank you, Dr. Cline, for taking time to educate us about Gastroparesis. On behalf of Cleveland Clinic, we want to thank you for attending our online health chat. We hope you found it to be helpful and informative. If you would like to learn more about the benefits of choosing Cleveland Clinic for your health concerns, please visit us online at http://my.clevelandclinic.org." 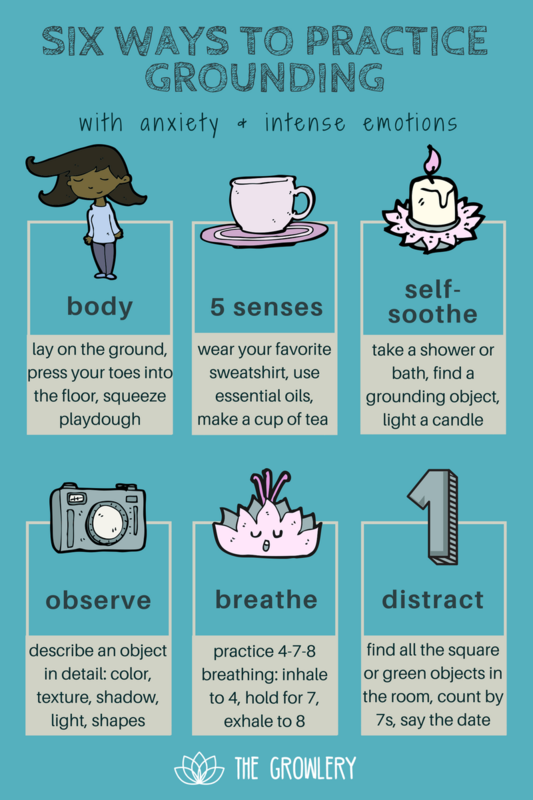 Grounding exercises are things you can do to bring yourself into contact with the present moment – the here and now. They can be quick strategies (like taking three deep 'belly breaths') or longer, more formal exercises (like meditation). Different strategies work for different people, and there is no 'wrong' way to ground yourself. The main aim is to keep your mind and body connected and working together. People who have experienced childhood sexual abuse or adult sexual assault can sometimes be confronted by flashbacks or intense memories of what was done, to the point that they are feel as if they are back there, re-living the abuse all over again. 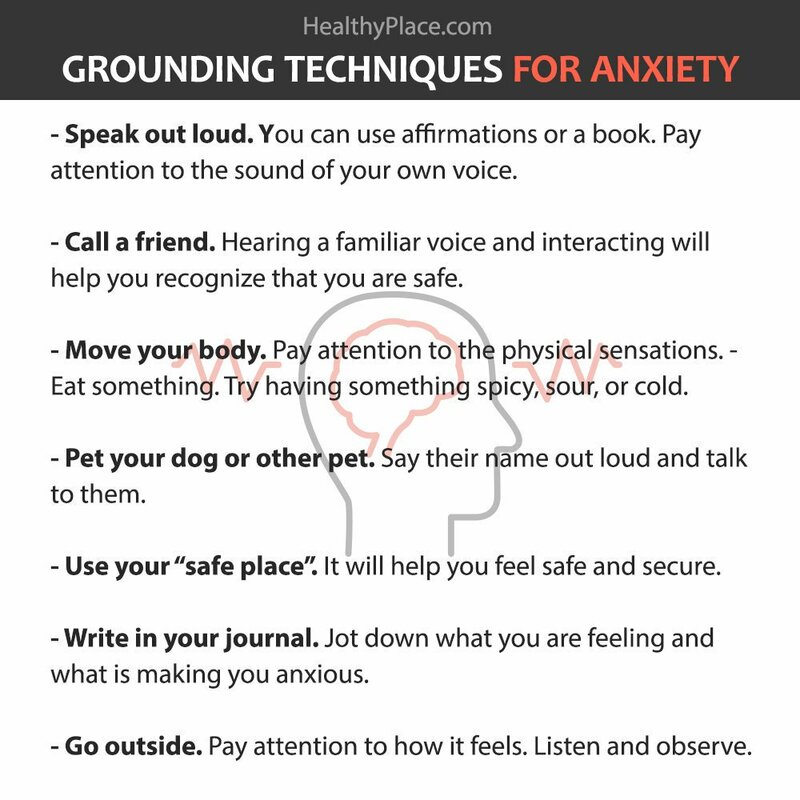 A flashback is an example of being in the 'there and then' rather than the 'here and now,' so grounding exercises can help to bring you back. Splash some water on your face. Notice how it feels. Notice how the towel feels as you dry. Feel the clothes on your body, whether your arms and legs are covered or not, and the sensation of your clothes as you move in them. Notice how your feet feel to be encased in shoes or socks. Stop and listen. Notice and name what sounds you can hear nearby. Gradually move your awareness of sounds outward, so you are focusing on what you can hear in the distance. Hold a mug of tea in both hands and feel its warmth. Don’t rush drinking it; take small sips, and take your time tasting each mouthful. Run your hands over something with an interesting texture. Get a sultana, a nut, or some seeds, etc. Focus on how it looks, feels and smells. Put it in your mouth and notice how that feels, before chewing mindfully and noticing how it feels to swallow. If you have a garden or some plants, tend to them for a bit. 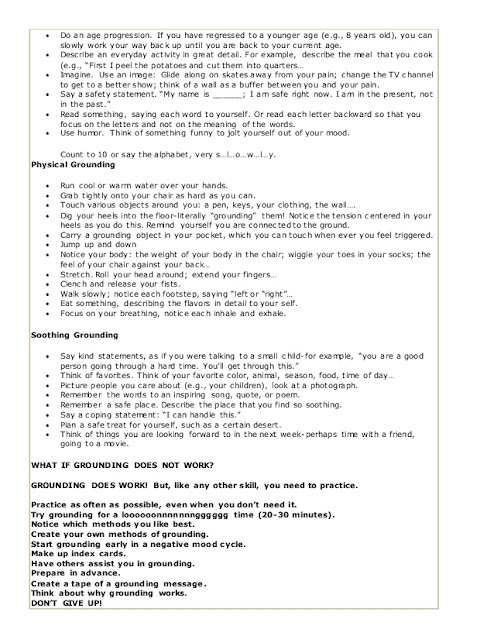 Plants, and actual soil, can be an excellent 'grounder!'" 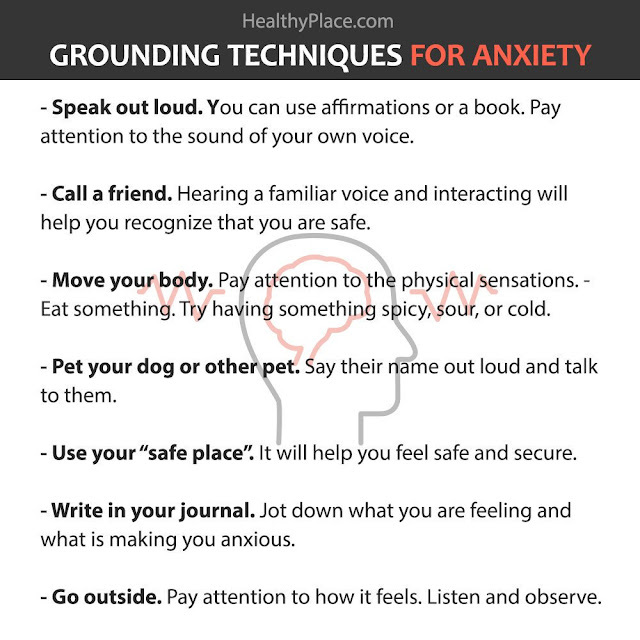 The grounding technique is also used to not only help with anxiety, but to help people with PTSD. 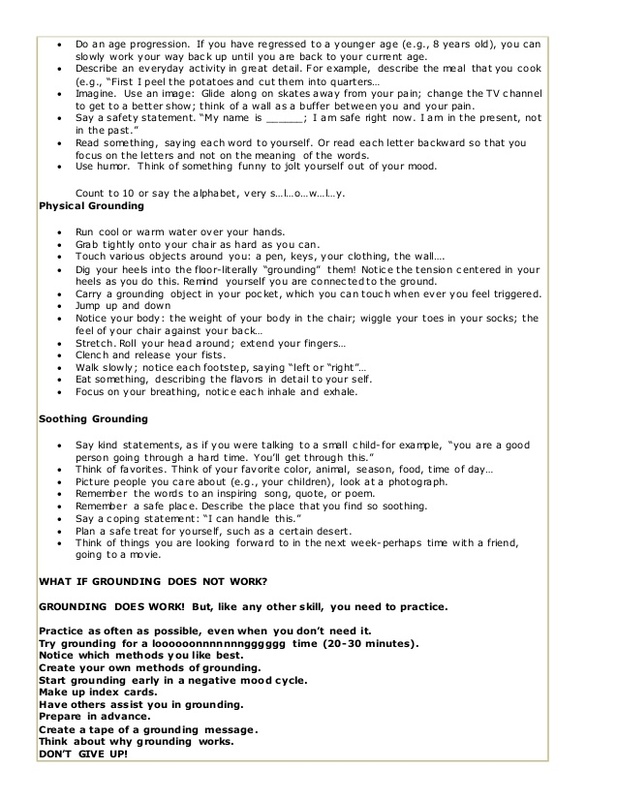 I have never tried grounding techniques before but I will be glad to try them for a week and then keep a comprehensive journal so that I can report my findings and if it helped me or not. 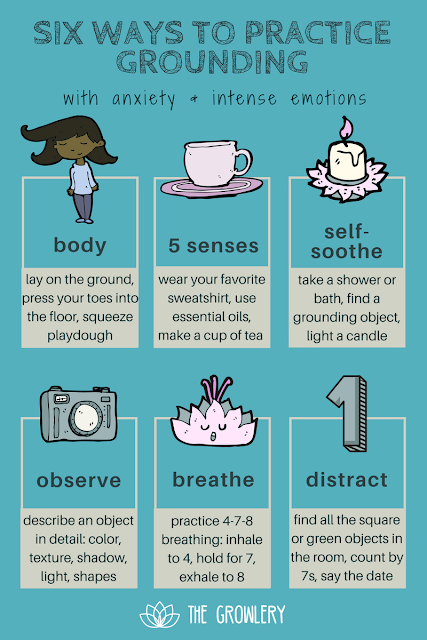 The breathing exercises tend to help me when I am having a really bad panic attack and/or to calm down after I vomit due to Gastroparesis.